The prognosis of secondary bone cancer varies. It depend s upon several factors like the overall health of the person. The number of cancerous cells that can be killed also affect prognosis. Regular check-ups help in improved prognosis or life expectancy. Secondary bone cancer is the type of cancer that has metastasised from a part of the body to the bone. According to the University Of Washington, School Of Medicine, since the metastasised bone cancer starts in the bones, it should be addressed differently from other cancers. The treatment of metastatic bone cancer does not necessarily extend one’s life expectancy but surely changes and betters the quality of life. The prognosis of secondary bone cancer varies according to several factors such as the overall health of the person, how much of the skeleton is involved and type of primary cancer. For instance, lung cancer that has metastasised to the bone may have a poor prognosis. In such incidences, the doctors relieve the patient off the pain due to metastasis disease. People diagnosed with breast cancer that has metastasised to the bone have been found to be leading a better quality of life and longer than before. The prognosis of a secondary bone cancer will also depend on the number of cancer cells that have been removed by surgery and the number of cancerous cells that can be killed by way of chemotherapy. As long as a person undergoes regular check-ups, he/she will have a better prognosis or life expectancy. The survival rates for secondary bone cancer depend on the spread of cancer to the bone, type of primary cancer and other sites that have been affected by the disease. The prognosis of widespread metastases is usually poor with very low survival rates. As per the American Academy of Orthopaedic Surgeons, about 50 percent of tumours metastasise into bone cancer. When a tumour metastasises, it spreads through the bloodstream or the lymphatic system to other parts of the body and locates itself somewhere. If a person has been diagnosed with kidney, breast, prostate, lung or thyroid cancer, he/she is more likely to develop bone cancer. Any bone that gets affected by the tumour is of great danger to the health of the person. Sometimes, a doctor can tell if a certain type of bone cancer can be cured with treatment or not though it may not be accurate. At times, the doctors may raise hope by suggesting that an incurable disease can be cured with treatments though that is not entirely dejecting because treatment only does well to one’s lifestyle and health. 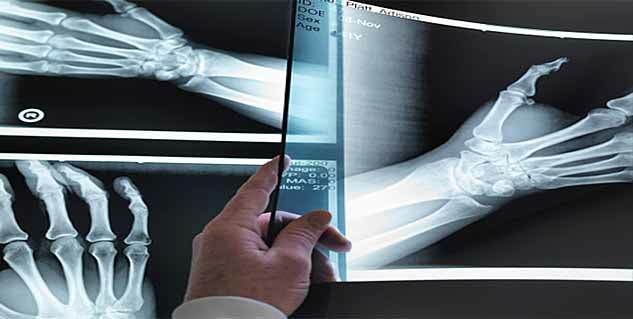 Read more articles on Bone Cancer Diagnosis and Prognosis.